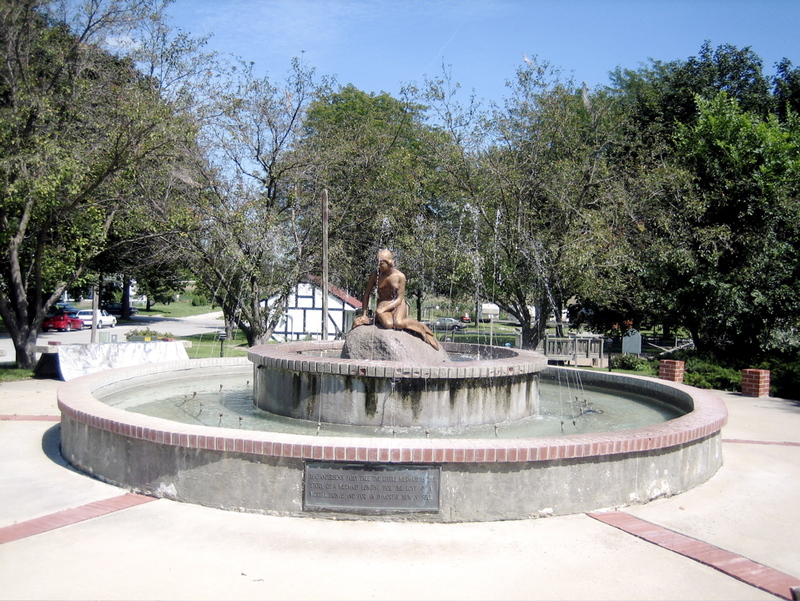 One of the copies of The Little Mermaid statue sits in Kimballton, Iowa. (Map) It was first created in 1978 as a fiberglass statue. 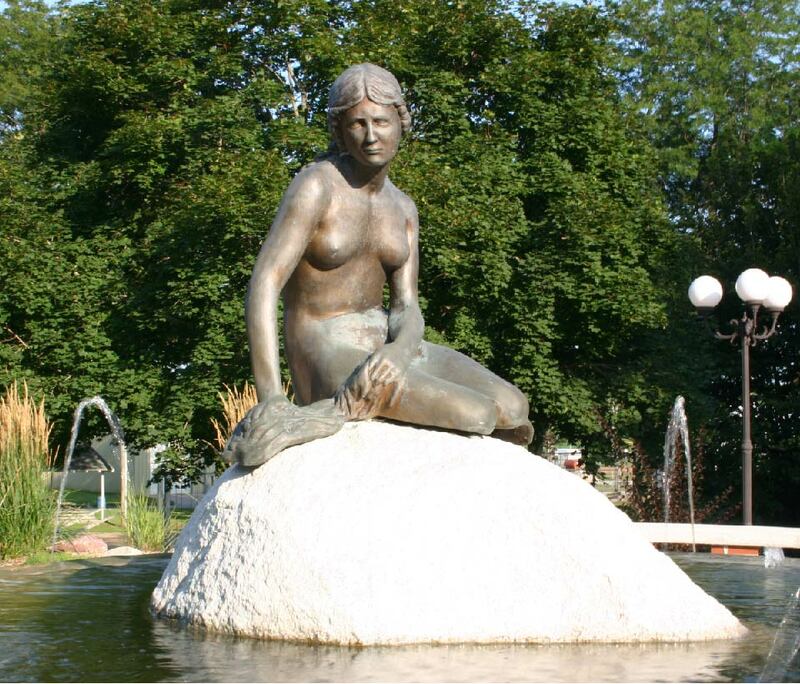 Between 1978 and 2008 this fiberglass mermaid sustained significant weathering. 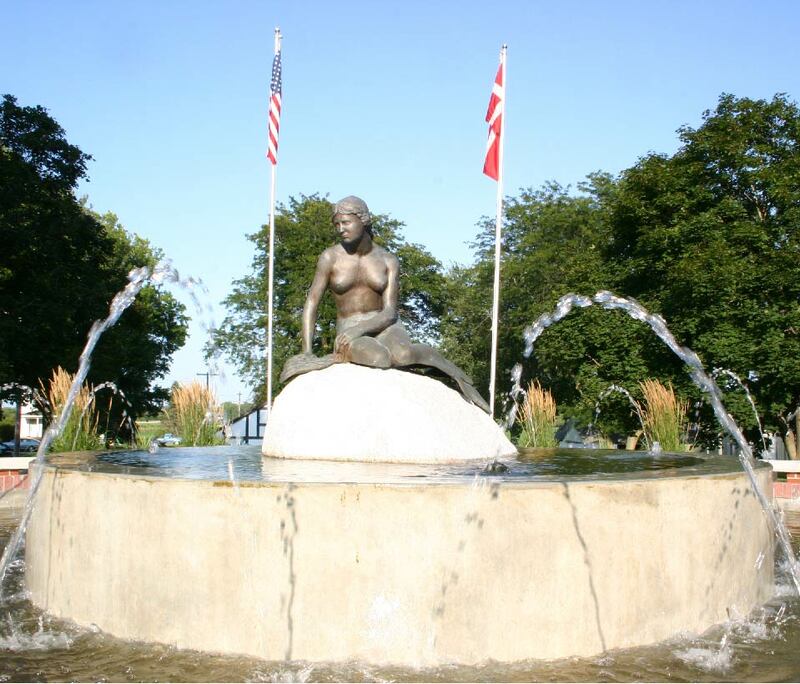 It was recast in bronze in 2008 and installed in Mermaid Park, with the fountain and much nicer landscaping you see here. This statue, like the original in Copenhagen, is about 4’ tall. MORTAL PRINCE AND FOR AN IMMORTAL HUMAN SOUL. Kimballton was founded in 1882, and was settled mostly by danes. The village of Elk Horn which is 3 miles away is likewise mostly settled by danes, and it shows clearly in annual parades, the mermaid replica and an authentic full size danish windmill transported from Denmark and reassembled in Elk Horn. With The Little Mermaid, the Danish Windmill and its Danish Import Shop and other danish attractions, these villages have a sizeable tourist industry. Elk Horn’s Danish Import Shop is full of danish souvenirs and memorabilia, including of course windmills and mermaids. The Little Mermaid statue in Kimballton. Photo by K Nelson.